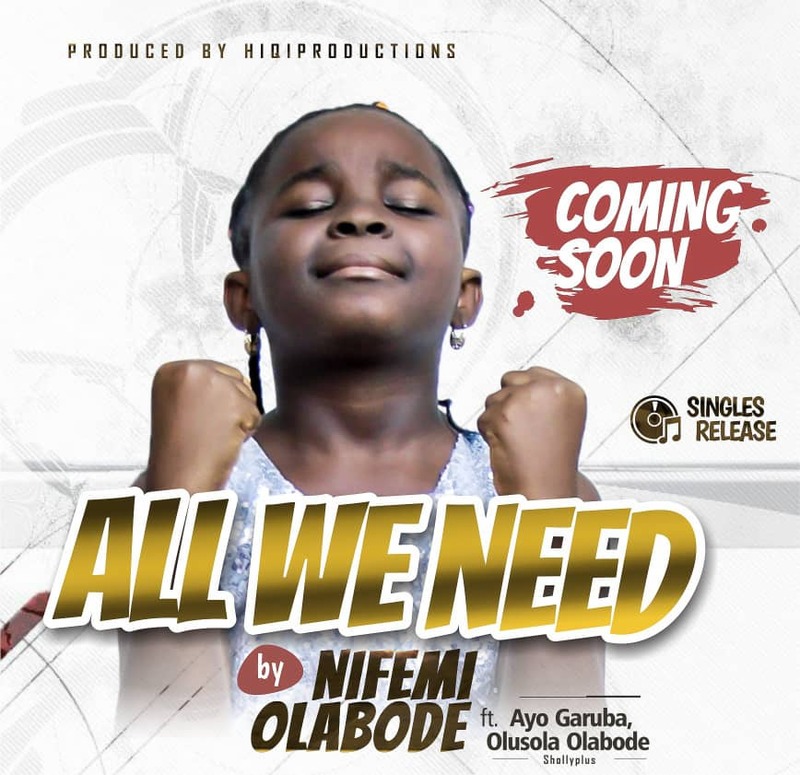 “ALL WE NEED” is the debut single of Nifemi, an 8 year old sensation. Nifemi who is gifted with a unique vocal timbre has been performing since age 5 whilst growing in the never ending grace of God. Born into the music family of the Olabode’s she co-wrote this song with her father, Olusola known as Shollyplus, who has been helping to develop her music career. We believe this song will bless your soul.